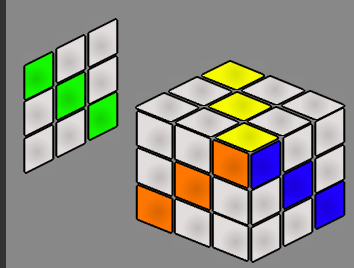 On each face only one diagonal is solved and the rest of the cubes are a different colour than the diagonal. 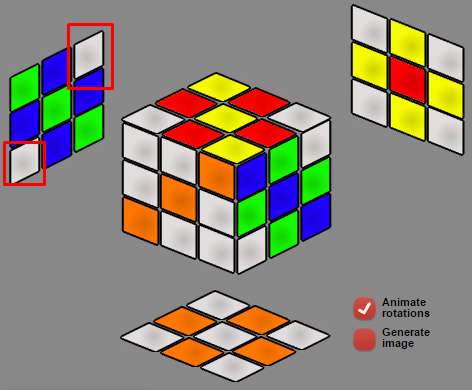 For example: If I am looking at the white face, there should exactly be two opposite corner pieces in that face correctly oriented, and no other white piece should be there. If this is possible, what is an algorithm to get there? This isn't possible to do. There does not exist a corner which lies on three diagonals. There exists a corner which lies on three diagonals. In each of these cases, I will show why this can't be done. In the first case, where no three diagonals meet, suppose we have two diagonals on adjacent faces. They must meet at a corner, which means (by assumption) the third diagonal does not connect at this adjacent corner. 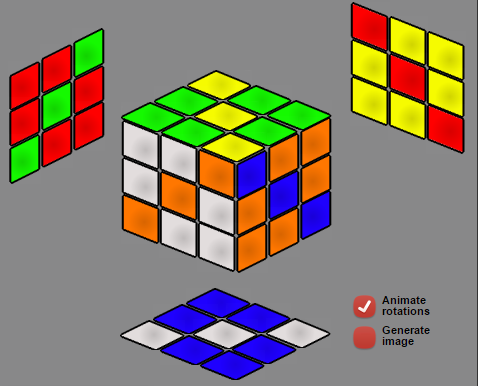 Suppose (because colors are invariant), that the diagonals point to the DRF corner, and lie on the front and right faces. Because we're in the first case, we know that the top must go from the URF corner to the BLF corner, and the bottom must be rotated. The only corner that can satisfy this orientation of the blue and yellow corner is the blue-yellow-red corner, which obviously won't work here because the diagonal is red. 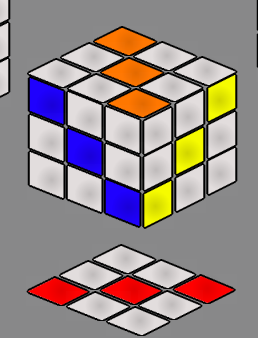 (The blue-yellow-orange corner is discounted because it would have the wrong positions of blue and yellow.) Thus, in the first case, there is no configuration. This is a little more annoying, but we can once again have to split this position into two subcases, since we need to assume one more diagonal to conclude anything about the remaining corners. I actually thought this was a legal position when I first looked at it. 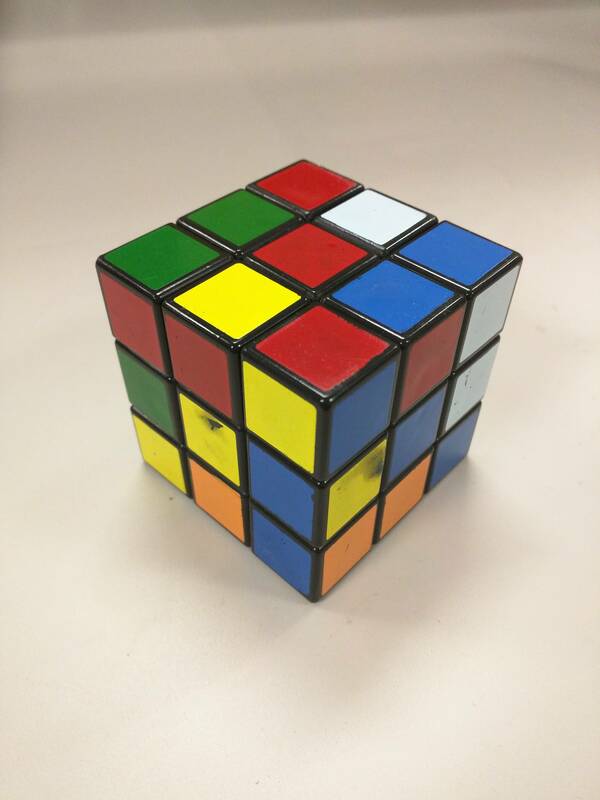 Indeed, I assembled a cube in this position to try it out. 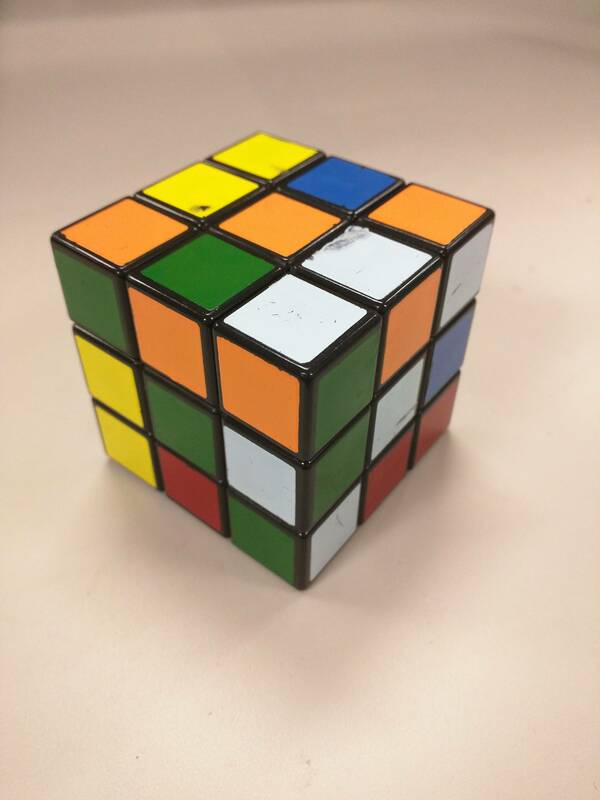 Unfortunately, when I went to solve it, one final corner was rotated, making the state unsolvable. Since this position is isomorphic to all other positions in of the same type, this case can be ruled out as a viable option. Now, we need to take a look at the other rotation of the green side. Pick an arbitrary edge. By the above assumptions, all other edges are solved with respect to the one you pick. The colors you put on this edge are therefore irrelevant. I've marked two corners. By assumption, the green diagonal points a specific direction. 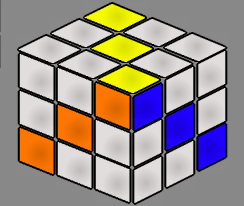 Thus, the other two corners are not on the diagonal, and those squares must be blue. Therefore, the top back corner in this frame must be a blue-yellow corner, with blue on the green face and yellow on the yellow face. However, this corner isn't available! It's the one being used in the top front of the cube. 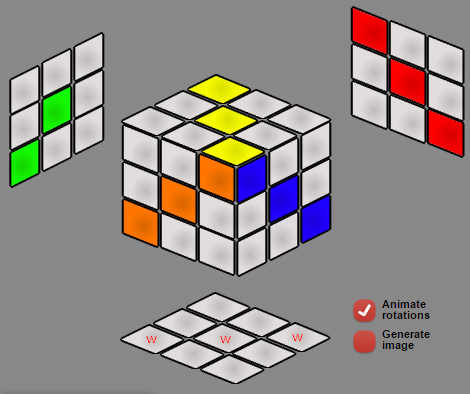 The only remaining corner that has the right colors to fit is the blue-yellow-red corner, and it has the wrong orientation. Thus, there is no solution to subcase B. Since there are no cases where this is possible, the state you're looking for can't be found. You want all the edges to be wrong, but edges can be twisted in place, provided you do so in pairs. There are 6 pairs of edges, so do that move and all your edges will be "wrong". Corners can also be twisted in place, provided you do so in pairs, so do the diagonals of one face and the opposite diagonals of the opposing face. 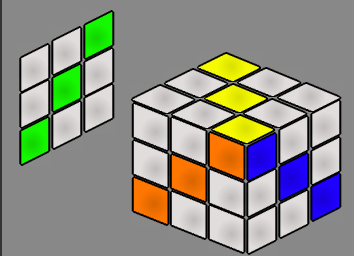 So, to be clear, if the cube has side length 1, with corners at 000,001,010,011,100,101,110,111, then twist 000-011 and 101-110. That will leave all 6 faces with correct diagonals and no other correct square (as seen in the photos). 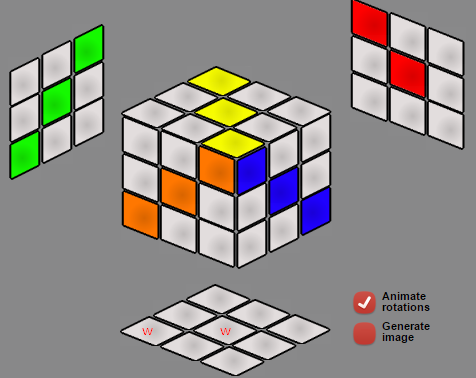 Can a Rubik's cube be put in a position not solvable by Fridrich's algorithm? How to swap two opposite corner pieces of a solved face?